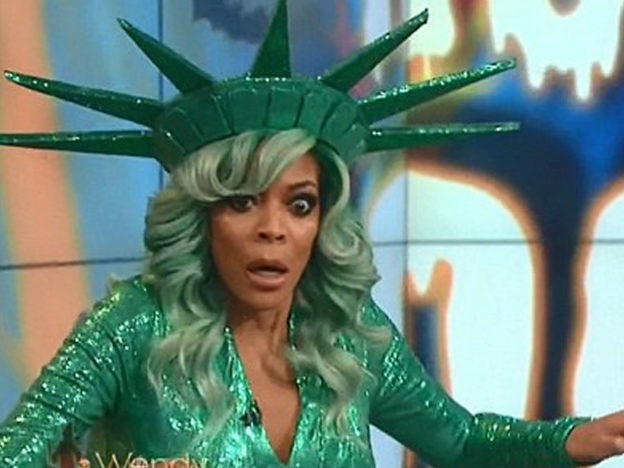 Wendy Williams has collapsed live on air during her Tuesday morning show. The 53-year-old TV host was right in the middle of a sentence when she began stuttering, wobbling and having difficulties reading cue cards. At one point she couldn’t say the word ‘contestant’, saying ‘carest’ instead, when trying to announce competition winners. Her eyes grew wide and frightened, and her breathing was clearly laboured. She eventually fainted, falling to the ground as crew members rushed to offer assistance. Producers immediately cut to black, followed by an ad break. 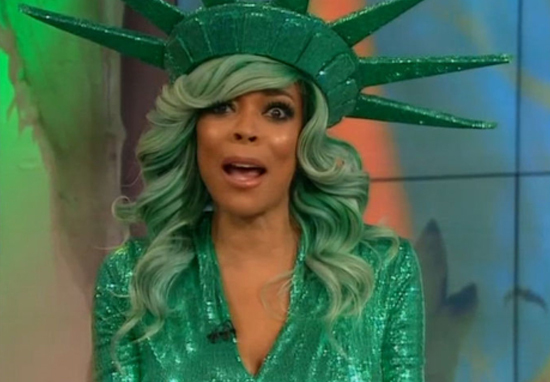 Wendy had been dressed in a glamorous, glittering Statue of Liberty costume -which included sequined leggings and an elaborate headdress. She looked wonderful but unfortunately became overheated. Determined Wendy pressed on with the final ten minutes of the show, announcing the winners while propping herself up against a podium. She has never missed a day of work and is looking forward on November 13th to her 1500th show. Wendy fans quickly took to Twitter to express their concern and love for the popular TV personality. 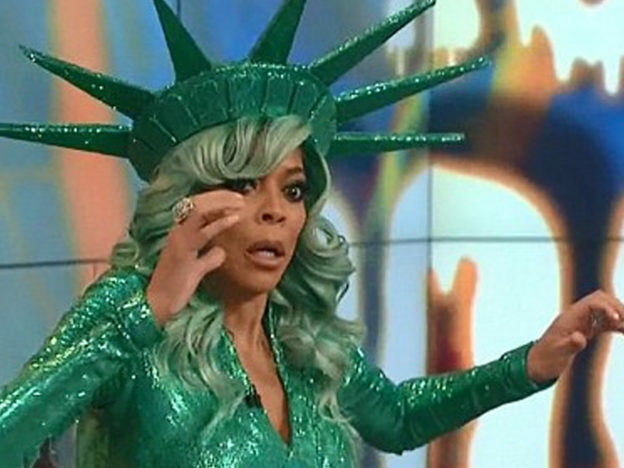 One person described the incident as ‘one of the scariest things I’ve ever seen’ whereas another described her as a ‘champion’ for continuing with the show. Here’s wishing Wendy a full recovery.